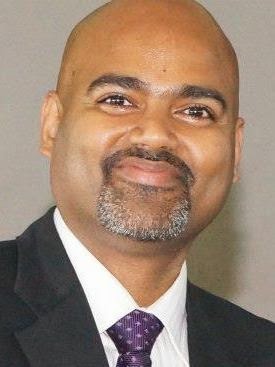 Saro Velrajan works for Ginkos India, as the Chief Strategy Officer. He has 20 years of experience in networking technologies, working for leading companies such as Cisco, Ericsson and Verizon. Saro has an MBA in Technology Management from University of Phoenix. He has held several roles in delivery management, product engineering, marketing and product management. Saro is a member of Toastmasters International since 2006. From some one who had the difficulty of expressing his thoughts in English to someone who goes around the town to conduct public speaking workshops - Saro has gone through a tremendous transformation through Toastmasters. Through his blog, he shares his communication and leadership experience with fellow Toastmasters. Saro's Corner is a onestop shop for public speaking and leadership development tips, sample Toastmasters project speeches, Toastmasters role player templates, and many more useful information for members, club officers and events organizers. Saro has played several leadership roles at the club, area, division and at the district in Toastmasters. Saro was honored with the Best Division Governor award for growing the Toastmasters movement in Tamilnadu, during the year 2011 - 2012. He was awarded the Distinguished Toastmaster (DTM) title for communication and leadership excellence. Saro is passionate about mentoring and he mentors nearly 50+ members from the Toastmasters fraternity. Saro strongly believes in small, but continuous improvements. Zig Ziglar once said "You don't have to be great to start, but you've to start to be great". Saro's communication and leadership journey is a testimonial to that. He can be reached at svelrajan@gmail.com / +91 9940110924. Thanks much Umesh for your feedback. Saro , Your dedication and passion to help others is very impressive. May God bless you most and more. Saro is my inspiration!! i wish i'd meet him one day.. Thanks much Prithiviraj ! Looking forward to meet you someday.